First up, I have couple of fun Valentine's projects. This one is from Home Made Modern. 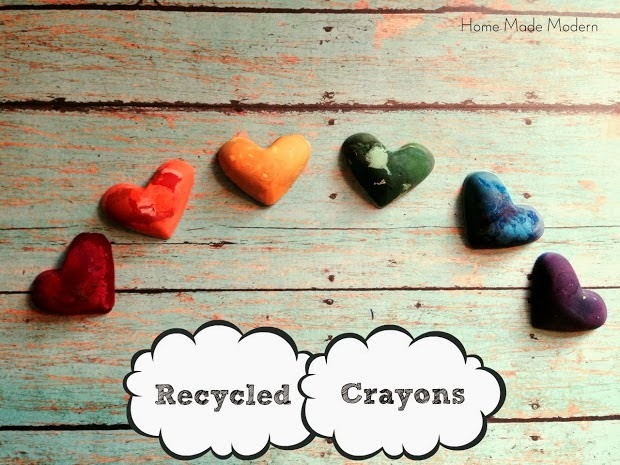 These recycled crayons are adorable! They'd make a great Valentine's card add-on for your kiddo to take to school. 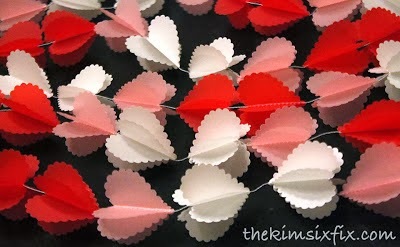 This darling Vellum Valentine garland was created by The Kim Six Fix. I love the fact that it has the 3D element. So fun! Finally, you all know how I love a white kitchen. 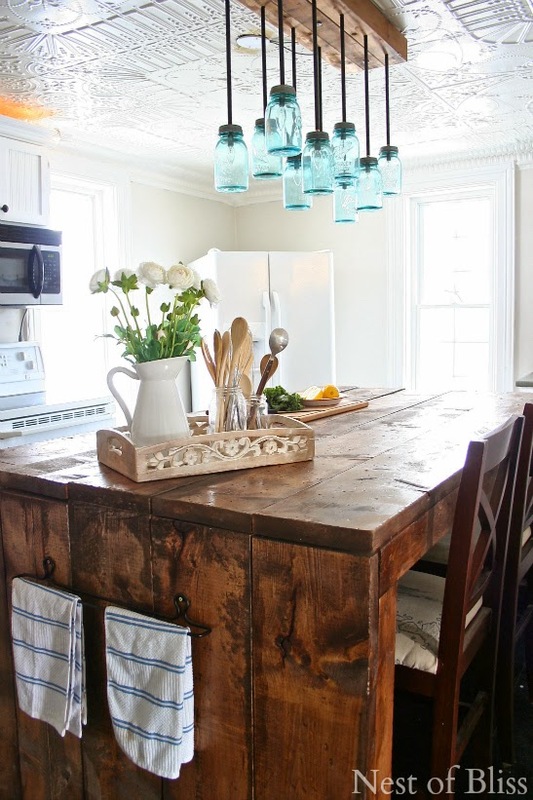 Check out this pretty kitchen redo shared by Nest of Bliss. Love. Thank you for hosting your party today! Enjoy your weekend. Thanks for hosting! Think I'm going to use a text link this time. I made a mistake with your button last week, sorry! Thank you for hosting the linkup this week! I can't wait to read some of these lovely posts :) Following you on facebook! Thank you so much for the party, Wendy!!! Have a great weekend! Thanks for hosting. Much appreciated. Thank you for the party, Wendy! Happy Friday! Thanks for hosting Frugal Friday Wendy, love joining in. Have a great week. I love Nest of Bliss' kitchen! That island . . . combined with the ceiling. Just WOW. I'll head on over and let her know, too. Thanks for hosting this week's party! Thank you for the party, enjoy your weekend! Thank you for hosting this week's party. Looks like a good group.